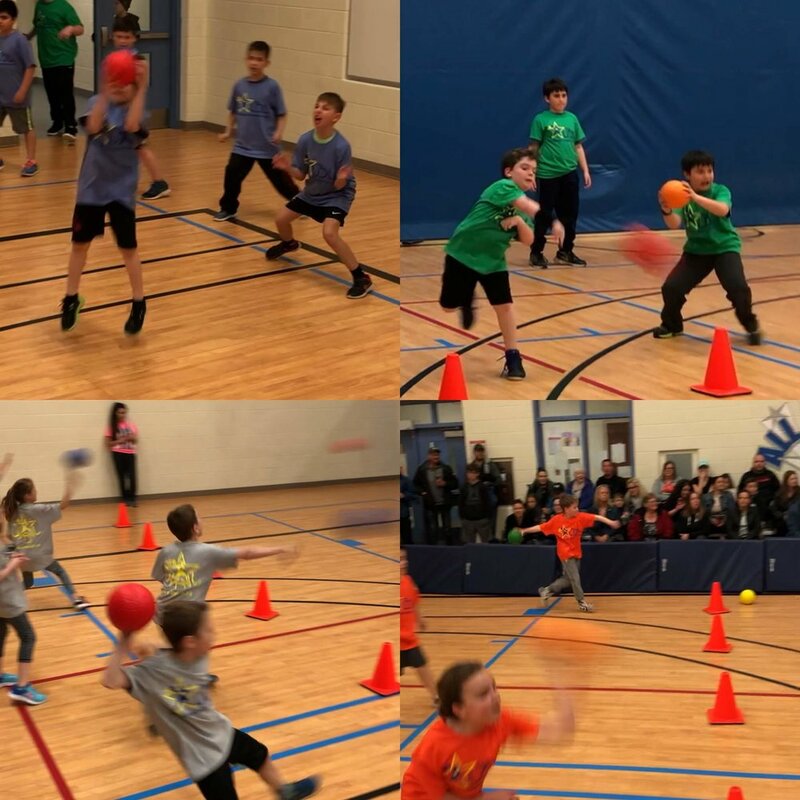 The UDL Dodgeball League — ULTIMATE CAMP & THE ULTIMATE DODGEBALL LEAGUE - "UDL"
Please submit registration to be put on the wait list - do not send payment until we contact you. Our goal is to have kids PLAY AND HAVE FUN! 6 EPIC Weeks of Friday Night Dodgeball Action! Dates : Friday Nights - Starting March 29th! 5 EPIC Weeks of Thursday Night Dodgeball Action! Dates : Thursday Nights - Starting January 24th! Be sure to write down name of child in the message part of etransfer. IT's Official... kids love it!!! CHECK OUT OUR VISIT FROM CH NEWS TIM BOLEN! Why Dodgeball? Kids Love It! and did we mention kids have FUN!!!! Our goal is to allow for an enjoyable, competitive and safe experience for all participants. We pride ourselves in ensuring equal playing time and maximum participation for all children in our league, regardless of skill level. Trained Referees will be involved in all games and scores will be recorded. It will be fun, but it also will be competitive. Safety is a top priority. We will be using dodgeballs that are made from high density foam similar to the type used in all schools. They are easy to throw and do not hurt when someone gets hit...perfect for kids! Please note that spot is confirmed when you receive your processed etransfer notification. Parent/Guardian Permission and Waiver: I/We approve and give my child permission to participate in the above activity (Ultimate Dodgeball League known as "The UDL"), and authorize the directors act in their best judgement in any emergency requiring medical attention. I/we understand that our child participate at his/her own risk and fully relieve the camp, its owners, agents, volunteers & representatives from all claims pertaining to loss or damage to the camper's personal property or injuries sustained while at "The UDL". I/We recognize and acknowledge that there are certain risks of physical injury to participants and I voluntarily agree to assume the full risk of any injuries, damages or loss, regardless of the severity. I further agree to waive and relinquish all claims my child/ward or I may have as a result of participating in "The UDL" against the owners of the property, owners of the league, its officials, agents, volunteers and employees. I/we also agree that photographs/video of participants may be taken at any time during UDL events and used for future promotional use online or in print. Parent/Guardian signature in box below. Please type in name to represent signature. Thank you! Registration is not confirmed until payment has been processed! Your cashed etransfer receipt or cashed cheque will be confirmation of registration. More information will be emailed as start up date approaches. Thank You!